Dear guests and visitors of the “Hamburger Tactica”. To celebrate our 10th Tactica we again have some items in our programs to help you keep a fond memory of the event. 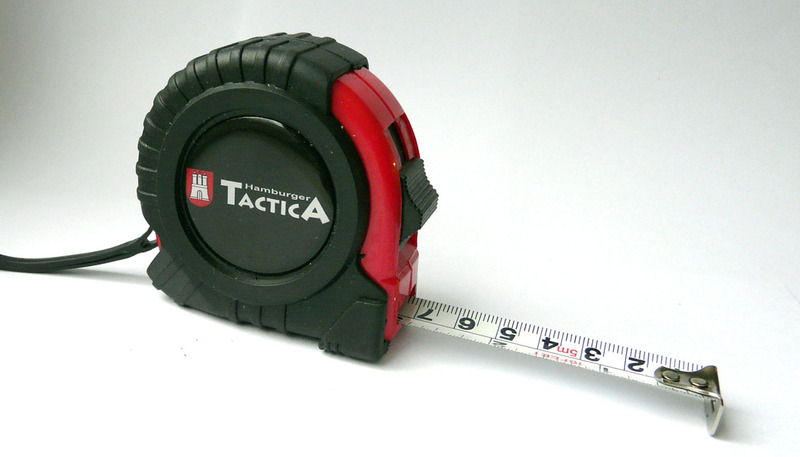 Here we present the “Hamburg Tactica Tape Measure”. It features both Centimeters and Inches and will be available in limited numbers for 5 € during the event.